Many of us have suffered through the frustration from a water leak and water damage at one point or another. 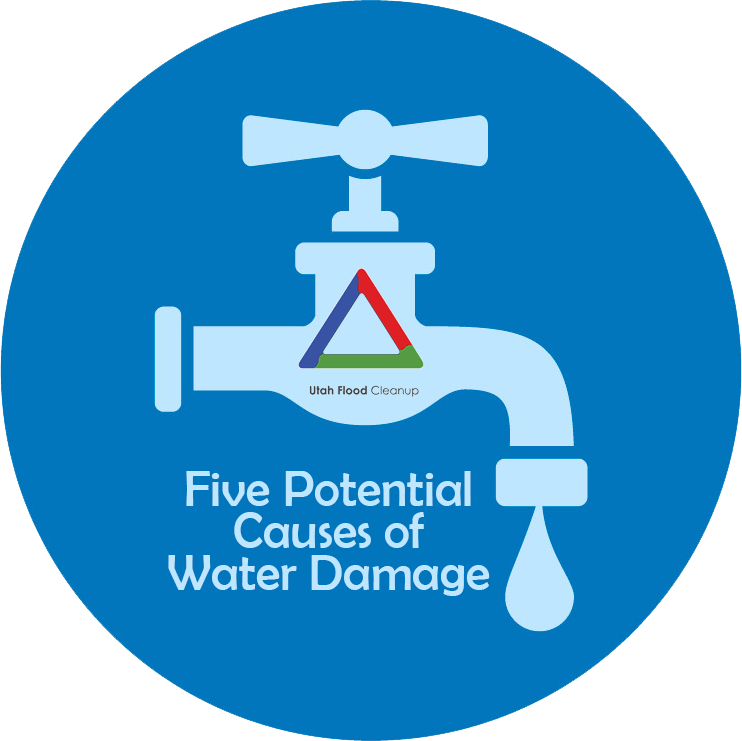 These problems can include an overflowing toilet, a problem water heater, too much rain coming too fast, a burst pipe, or water used to extinguish a fire. There are many things that can cause staining, water-logged carpets, and other problems in a home from a water leak. Usually, a toilet bowl leak will be obvious – you’ll see water running out over the top of the bowl. However, in some cases, water will leak slowly from the bottom of the toilet, and the only way to find out is that you’ll towel or mop the water in the morning, and that evening the floor is wet again. If you don’t get the problem fixed, you can damage the floor. If the toilet is on an upper floor, it can also damage the ceiling below it. Turn the water off where the water valve is connected to the wall, and call for help before an inconvenience becomes something worse. Finding water around a water heater is not always the sign of something bad; it can be a sign of condensation from the unit. It could also be a sign of bigger problems that will come. Sometimes the tank will corrode through and create major leaks, or worse yet, a pipe will burst and scalding hot water will spray over anything. Check your water heater regularly, and if you suspect a leak, call a professional to check it out. Turn the valve off, usually a red handle near the ground, and mop the water up. If water continues to collect near the base of the water heater, it is an indication of a leak, probably somewhere other than where the pipe runs into the tank. Leaving the tank broken can create problems with the floor, and if leaking water cannot escape and the water gets too high and reaches the pilot light, the water tank will likely be ruined. Some people may believe that the way to tell if heavy rain is damaging their home is to whether or not the roof leaks. If only it was that simple. Rain water can damage a house through a bad chimney or weakening mortar joints, which can cause rusting, and potentially allow for water to get inside the house. Foundation leaks can ruin anything in a basement, especially if drains don’t work appropriately. It is important to keep an eye on the foundation and the basement during rain, and even for a few days after a heavy rain. Musty smells and of course dampness can be indications of foundation problems. Roof leaks are usually pretty easy to determine as water will drip, or even run into a house while it rains. However, you should also look for brown or other discolored ceilings during and after rains. Rain may be getting inside the roof, but not dripping into the home, which can still do major damage and require extensive repairs. Burst pipes can do major damage, especially if the homeowner is not aware it is happening. If the homeowner is gone when a pipe bursts, or if the pipe bursts while the homeowner is in one part of the house while the burst pipe is in another, a log of damage can be done. Sheetrock, carpets, and practically anything else that comes in contact with the water can be damaged or ruined. When you have a burst pipe, shut your water off and call for help right away. When there is a fire, water damage isn’t your primary concern. Once the fire is extinguished, the water that was used can cause numerous problems of its own, in some cases, related to the fire itself. Weakened structural integrity caused by fire damage can be amplified due to the water saturation, and an increased potential for mold growth. While this water is necessary to save the property, it can also ruin floors, walls, and other things it contacts. When there is a fire, yours and your family’s safety should be your number one concern. Call 9-1-1 and let the professionals handle it. If you face any of these problems at your home, contact Utah Flood Cleanup today for a free consultation. We are available 24/7 to serve the greater Wasatch Front when it comes to a number of disasters, including water, fire, mold, and more.